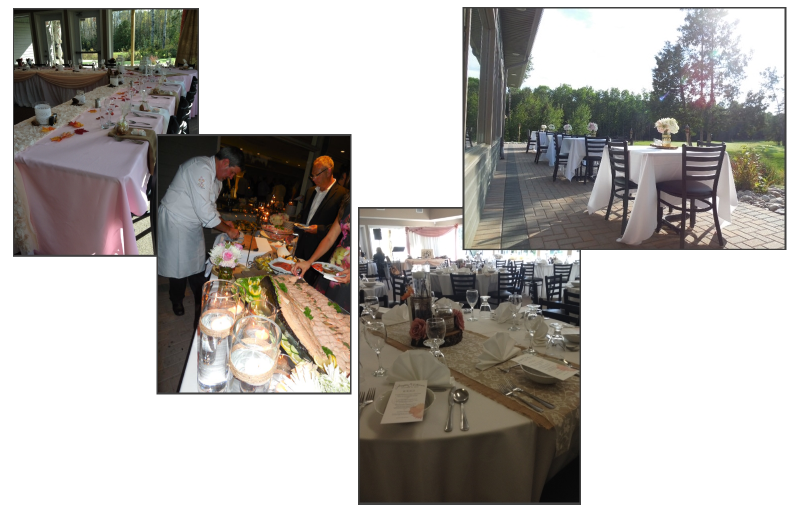 Osprey Links has a limited dates for weddings, with our greatest availability in the spring or following the golf season. Planning a summer date, check with us, however the hall tends to be busy with weekend golf events throughout June, July, August and September. 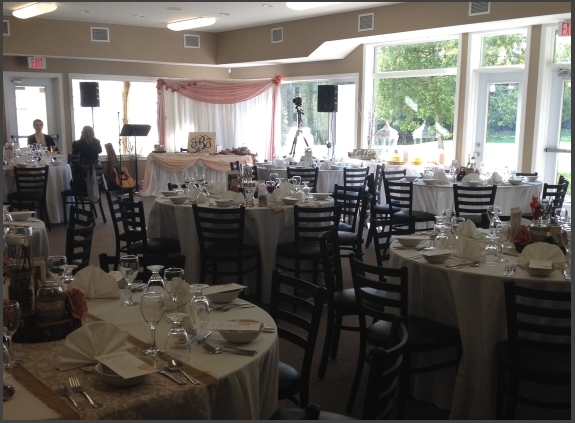 Our hall can comfortably accommodate your small to mid-sized wedding (we suggest up to 85 guests and attendants) based on head table configurations and dance floor. 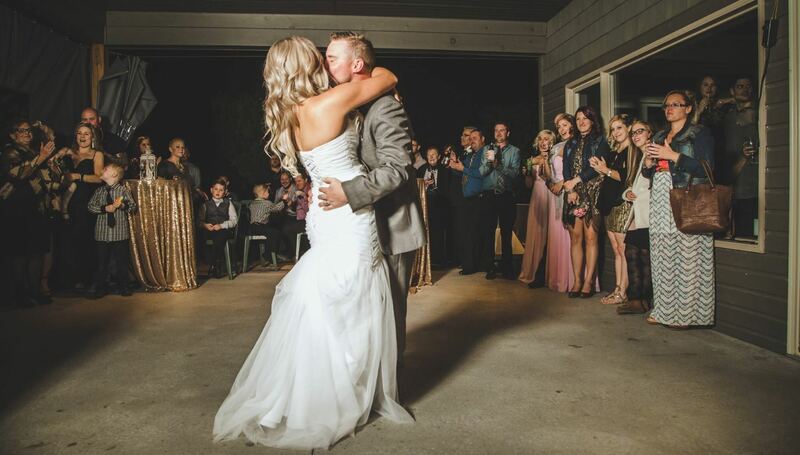 And yes, we have had marriage services held in the Clubhouse, however due to golfer traffic and for the safety and security of your guests, we do not offer services on the course itself. 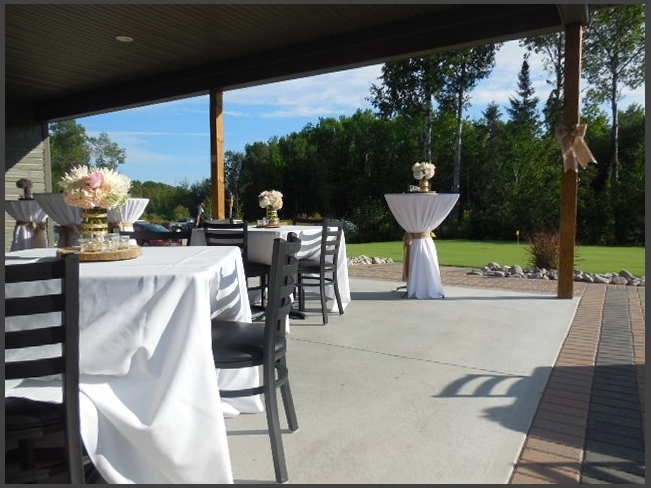 We offer on-site catering, but if your tastes are unique or outside the scope of our kitchen, we would be happy to work with the caterer of your choice to make your day perfect! Want to view the facility. We would be delighted to show you the room and what we have to offer. Just give us a call to arrange a tour.